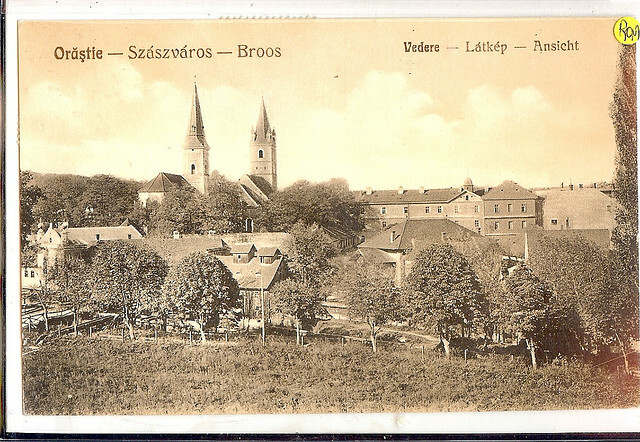 For the final part of this series of posts I would like to discuss the history of the Jews in Transylvania. Many people think of the Jews as a minority everywhere, and in a lot of cases they are the minority. What people do not consider, though, is how long of a history the Jews have and how widespread it is. Jewish history takes place on almost every continent, because there have been Jews on almost every continent. It is said that the Jews were in Transylvania when it was called Dacia and the Romans ruled it. At this time the Jews were considered no different from other citizens and worked as tradesmen, creditors, and also acted as the middlemen in negotiations between Transylvania and other countries. However, when the Hungarian kingdom fell to Turkish expansion between 1526-1540, things started to change for the Transylvanian Jewish community. At this time Transylvania became an autonomous principality under the Ottomans. In 1623, Prince Gabriel Bethlen gave the Transylvania Jewish community trading privileges and freedom of religion from the Ottoman kingdom. For a time there were no restrictions on these privileges and freedoms. Restrictions were imposed in 1653, and Jews were forced to live in the capital, Alba, and nowhere else. At the end of the 17th century things changed once again for Transylvania when the Austrians took over ruling Transylvania and it became known as the Great Principality of Transylvania. The Austrians conducted a regular census. Because of this, we know that the Jewish population grew in Transylvania while the area was under Austrian rule. The first general census in 1754 tells us that there were 107 Jewish families in Transylvania. By 1779 there were 221 Jewish families. In 1785-1786 there were 394 Jewish families. The 394 families consisted of 2,092 people. As was mentioned in previous posts, Transylvania was under the rule of the Austro-Hungarian Empire during World War I. Just before the war the census reported that Jews made up 2.4% of the population. When Romania did their census in 1930, the Jews made up 3.5% of the population. With the outbreak of World War II, northern Transylvania was given to Hungary, while southern Transylvania remained under the rule of Romania. In 1944 there were 131,633 Jews living in ghettos that were eventually sent to Auschwitz. At the end of World War II, the whole of Transylvania was once again under the rule of Romania. The census reported that there were 90,444 Jews living in Transylvania in 1944. In 1956 the census only recorded 43,814 Jews living in Transylvania. This decline was mainly due to emigration. Unfortunately, this number has continued to decrease over the years. In 2002, there were only 7,000 Jews living in Transylvania. 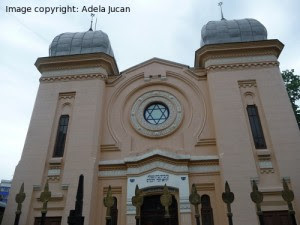 The Jews have a lot of history and culture in Transylvania, and some of that remains to this day. It is up to us to seek it out.